The Durable Module Materials Consortium, commonly known as DuraMAT, recently awarded $3.3 million in funding to several entities, including The University of New Mexico, for renewable energy projects. 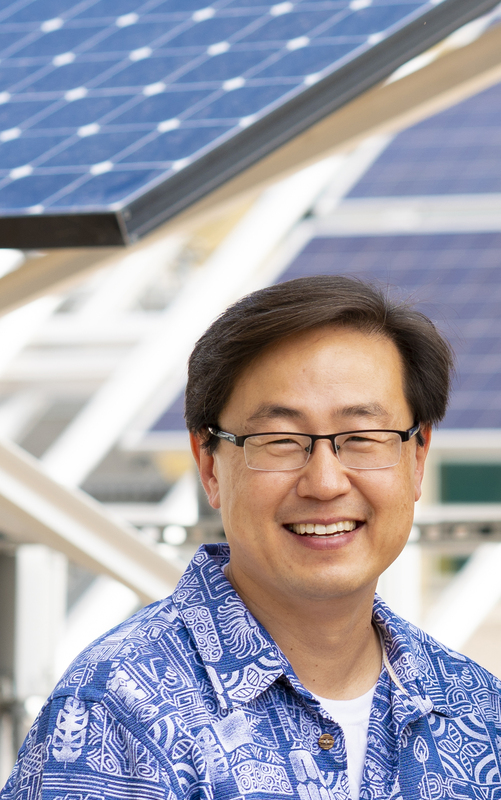 Sang M. Han, Regents’ Professor in the departments of Chemical and Biological Engineering, and Electrical and Computer Engineering, is chief technical officer of Osazda Energy, LLC, and the principal investigator of UNM’s part of the DuraMAT project. Osazda is receiving $1.2 million from the Department of Energy for the project, and UNM will be receiving a subcontract on the project. Han said that UNM will be in charge of materials characterization of the new products, named as MetZilla Paste(TM), which are metal-matrix-composite silver pastes used to screen print metal contact lines on solar cells. The goal of the low-cost advanced metallization is to reduce degradation and increase module reliability, so that solar panels will last longer, Han said. Partners with UNM on the project are Georgia Tech and the National Renewable Energy Laboratory. DuraMAT’s mission is to bring together the national laboratory and university research infrastructure with the photovoltaic and supply-chain industries to enable the commercialization of new materials and designs for PV modules to lower the cost of electricity.